As I recently traveled across Europe, and ultimately to PorcFest, I took time to talk to talk to entrepreneurs, technologists, and libertarians about LBRY. For the mutualistic education of myself and others, below are the questions and answers to five frequently asked questions. 1. When will LBRY come out? To make sure you hear as soon as it is available, join our mailing list or follow us on Twitter. 2. What happens if someone uploads infringing content to LBRY? LBRY changes the way information is shared. 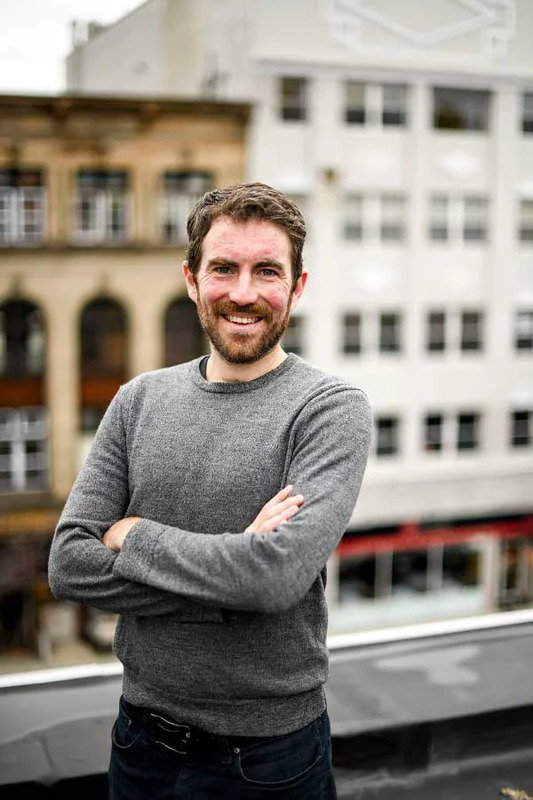 LBRY's decentralized nature makes it impossible for LBRY Inc. to control any information published to the LBRY network. LBRY Inc. cannot censor or remove content from the network. That said, a user who initially uploads infringing content to the LBRY network may be liable for civil or criminal copyright infringement under their local laws. A patron who accesses infringing content via the LBRY network may also be liable for copyright infringement. LBRY Inc. strongly encourages creators to refrain from publishing content which may infringe upon copyright and urges patrons to wait for authorized providers to source content. Additionally, we've designed LBRY to protect miners and hosts. 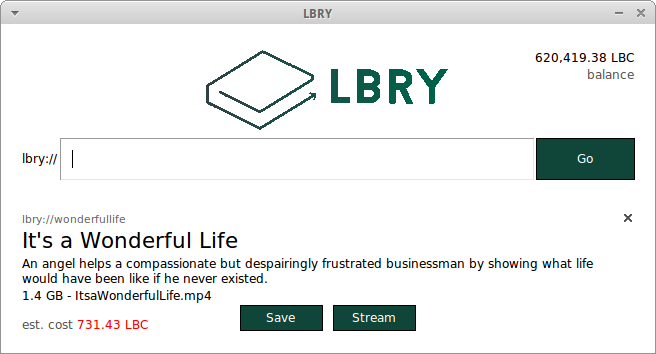 Content about information, or metadata, is stored in the LBRY blockchain and is required in the production of LBRY credits. Hosts only store tiny pieces of encrypted information, so they never have knowledge of their content nor, from a technical perspective, do they possess it. However, we are not your lawyers and this is neither legal advice nor a promise. 3. If LBRY is Bitcoin + BitTorrent, why does it not use the Bitcoin blockchain? We spent a lot of time debating whether it was possible to build LBRY on top of Bitcoin. We certainly wanted to, as Bitcoin offers a tremendous user base. Ultimately, we decided this was not possible to do. We want LBRY to be the most efficient market for selling and buying information. From a fundamental perspective, kludging LBRY on top of Bitcoin would result in reduced efficiency. We are huge believers in Bitcoin and recognize we would not be here without it. If we have seen further, it is by standing on the shoulders of anonymous giants. For this reason, we plan to commit a significant initial portion of LBRY credits to Bitcoin holders. We will also be releasing the source of LBRY so that others may stand upon us. 4. What's the difference between LBRY and MaidSafe (or X)? There are several attempts to build a decentralized computing platform. LBRY is not one of them; it exists only for information. Products that subsume the information problem, such as MaidSafe or Ethereum, will crumble under their own weight at the worst and not approach LBRY's performance at their best. Building an information delivery network inside of a larger decentralized platform is guaranteed at a fundamental level to result in worse performance, greater expense, or both. Other crypto-data solutions are about providing reliable and known data-access methods for publishers (i.e. they give you a name, frequently gibberish, and attempt to promise that data will remain available at that name). LBRY is about creating the best experience for consumers, who care less if names change than if a name gives them the information they desire. LBRY's reservation-based approach to names means unlike any other existing solution. We've leveraged Nobel Prize-winning economics to create a system in which names are extremely likely to resolve to what user's desire as well as be owned by the proper content creator. Greater user experience + greater creator experience = WNNNG1. 1 New LBRY policy: when disemvoweling, aim for maximum confusion. 5. Allowing anyone to bid a higher price for a name is insane|brilliant. Our instinctual desire to have confident possession of our property makes LBRY's reservation-only name system feel off. However, it has strong economic underpinnings. Famed economist Ronald Coase made the insight that as long as property rights are clearly defined, and there are sufficiently low transaction costs, an efficient outcome will result regardless of the initial allocation of property. First, let's ensure the premises to our theorem hold. In LBRY, property rights could not be more explicit - whoever has committed the most credits holds the name. Second, transaction costs are close to zero. In the sense of this theorem, the efficient outcome is that the owner of any name will be the entity for whom the name holds the most value. When does a name hold the most value? When it maps to content that is most desired by users. What do users desire when accessing a name? For a name to resolve to the content, they envisioned as well as for that content to be provided by its legitimate creator. The former desire may outstrip the latter, but consumers would clearly rather pay a legitimate creator than a non-legitimate creator. Thus, the legitimate content creator has maximal incentive to provide a LBRY name mapping to their content. The end-result of LBRY's reservation scheme is two-fold: 1) names will almost always resolve to what user's desire and 2) content creators will economically benefit from publishing content via LBRY. Exposing even a straightforward creation to the public is daunting. LBRY, with several machinating, interlocking parts, is straightforward's antipode. In these first days, with our bare shelves, understanding the edifice we are building requires the ability to make acute insights. Particularly with LBRY's naming scheme, it veers into the imposing Kingdom of the Counter-Intuitive. Despite this, no one said "I don't get it" or "you're crazy". Some people certainly got it faster than others, but everyone saw the need and the opportunity. People were excited. While we'll admit our early testing grounds are favorable (tech groups and a liberty festivals), the reaction has been equally favorable. Every interaction leaves us more inspired to create the most egalitarian, efficient library the world has ever seen.